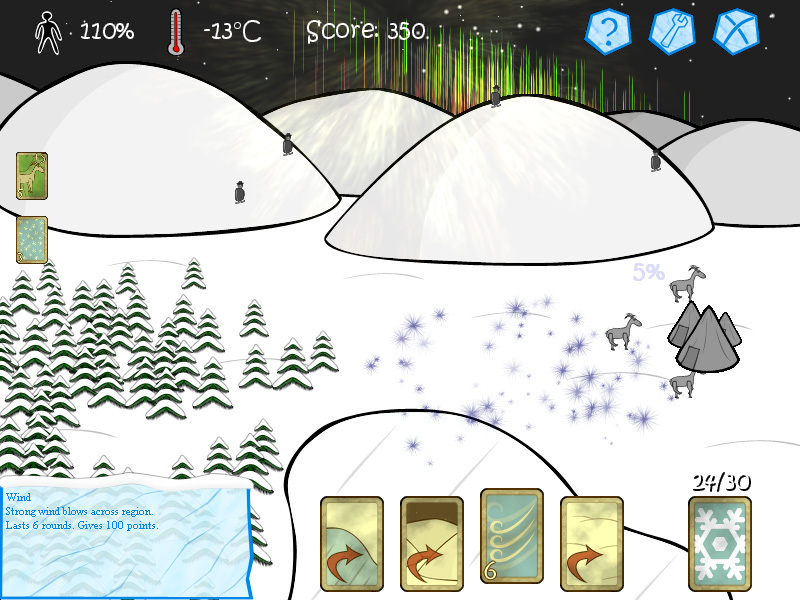 The North, Pohjola is a strategy game which resembles David Galindo's The Sandbox of God. 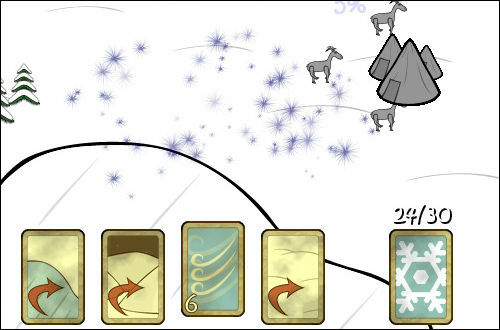 Players have to help a tribe survive a harsh winter season by making decisions limited to the four cards drawn in each round. The game ends once all thirty cards from the deck have been exhausted, and scores are then calculated for online submission. Population count is represented by a percentage at the top left of the screen. Temperature can be manipulated by choosing the right cards to maintain a warm surrounding for your tribe. Certain cards award bonus points, and may only affect proceedings when their specific conditions are met.